Epiphanies come in all shapes and sizes. 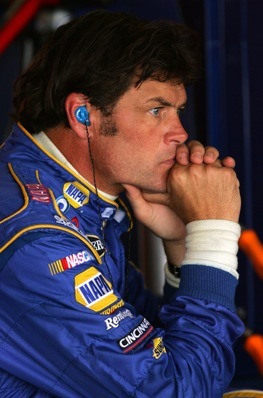 Michael Waltrip had a moment of sudden comprehension about one aspect of his life just after he decided to get serious about one of his long-time passions. And that, he said, will have to change if “this process” is going to move forward. The process is that of becoming a stand-up comedian. A professional comedian. A gag man. Waltrip, a part time NASCAR driver and full time owner of Michael Waltrip Racing, wants to join the ranks of Rodney Dangerfield and Henny Youngman. 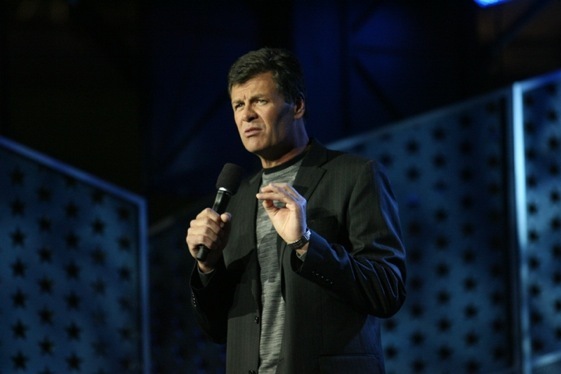 But seriously folks, Waltrip later this month will launch a comedy tour: Michael Waltrip’s Comedy Garage. It’s first show will be in Kansas City on Jan. 21. It will feature pro comedians Henry Cho and John Reep. Moving from stock cars to schtick is not a non sequitur for Waltrip. As faux comedian of SCTV Bobby Bittman would say: In all seriousness as a comedian, Waltrip has alway been interested making people laugh. “For always I have just been a big fan of standup comedians,” Waltrip said. So big, that when he gets to cities to do his day job at race tracks, Waltrip would go – still does go –on line to look for comedy acts appearing in the area. Favorite comedians include the late Mitch Hedberg, Ron White, Chris Rock and Larry the Cable Guy. All those guys have what Waltrip wants. No, not a Sprint Cup championship (What is this, an audience or an oil painting?). They have the ability to be funny on purpose. “If you describe the definition of stand-up comedian, they have to be funny on purpose. It’s why they’re there. 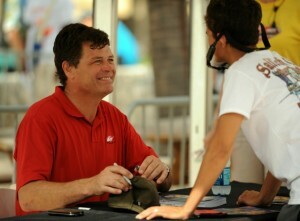 I’m trying to work on being funny on purpose,” Waltrip said. The toe went into the water in Roanke, Va. last year. Waltrip threw a show together with Reep and Tim Wilson and about a thousand people turned out to watch. Waltrip said his first trip to the stage was scary. Waltrip says he is writing some of his own gags and also working with establish comedians as he develops his material. The worst nightmare of drivers today is the sight of Brad Keselowski on their bumper. For comics, the worst is “bombing” on stage. Waltrip says he has not gone atomic in that area yet and really doesn’t fear the time that it does happen. a joke about it by grabbing a piece of paper and saying, ‘Well, OK, that didn’t work, scratch that one out. I’m new at this, you know.’ Just make fun of myself a little bit and I got on throufg it. The second worst nightmare for stand-up comics is heckling. 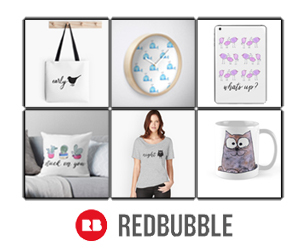 Any of that yet? Sure, but that bounces right on off of Waltrip. “You don’t lose as many races in a row as I did an not have to listen to some crap from people every now and then so I know how to handle that,” Waltrip said. Asked his favorite joke, Waltrip said come see the show. After the Kansas City show, the tour will head to Windsor, Ontario on Jan. 22. From there, shows are scheduled for Las Vegas on the weekend of the NASCAR weekend on March 5 and 6. An interesting insight into auto racing 2011. Why doesn’t this character just go away? I can’t stand to listen to him as a race commentator on TV either. His ego is off the charts. At best he was a mid pack driver for 95% of all the races he was in. If Earnhardt Sr. hadn’t given him a ride he would have been out of racing 10 years ago. Please, “Mikey”…go back to your farm and ride your horses. If it means him getting off of my TV screen, I’m all for him becoming a comedian!!! Mikey should do very well has a comic as his entire racing career was a joke. I thought when POS tried to get that “Sponsifier-ride” into the Sonoma-race, was his attempt at…..”comedy”? 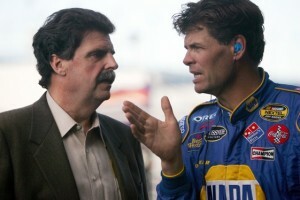 I really think his entire racing career is pretty……comical, especially his meager results in all of his Cup attempts. This guy is too much. Nothing worse than someone who thinks their funny, and is not funny at all.He ruins the truck race broadcasts with his attempt at whit, wisdom, and humor. I wish he would disappear from TV and do his job as an owner. My first reaction was ” he’s more ELLEN than Red Skelton “….. But to be more AUX CURRATE’…….